Sanremo, September 2007. The 17th Mickey Mouse World Golf Trophy is listed on the 5th and 6th of September at the Sanremo Ulivi Golf Club. The most promising young golfers from the Italian and European scene will dispute the Trophy’s Final round. 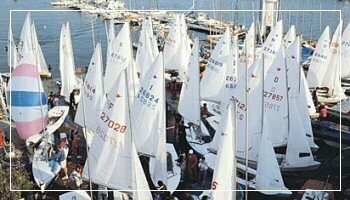 The Sanremo Yacht Club is organizing fromSeptember 6th thru 9th the National 12’ Dinghy Championship, a fascinating competition that always includes famous sailors among its participants. From September 10th to the 13th the Royal Classic Cup (a regatta exclusively dedicated to classic ships) is being scheduled, as well as the Scandinavian Gold Cup dedicated to the 5.5. S.I. divided into three categories: “modern”, “evolution” and “classic”. This competition is considered a premiere to the World Championship. During the 14th and the 15th of September on the sea right in front of Portosole there will be the “Coppa Matuzia Città di Sanremo”, the great return of a competition (dedicated to 5.5. S.I. ships) which was very important in the fifties and that will hold the Challenger Trophy. Keep your eyes focused on the most important event for international Sailing from September 16th through September 21st, the 5.5. S.I. World Championship. The most important world level teams will participate to this event. For the running and race passionate in general there’sthe Gazzetta Run Sanremo on September 9th, organized by the “Gazzetta dello Sport”, which every year through seven stages in seven different Italian cities scouts for the strongest and most constant runners. During Sanremo’s White Night on the 8th of September the “villaggio rosa” (pink village) will be set up, which is the symbol of the running event.